Q: Do I have to take down my portable unit (L5/L7/L10) and store it inside after each use? How protective is the overhead Shield to rain/debris? A: Yes, you have to bring it inside if it is not being used. The top shield is just a heat-shield and not intended as rain protection. Q: What is the max temperature on my tankless water heater? A: The temperature can vary based on the temperature of the incoming water. Each of our tankless water heaters offer at least a 35-40 degree F temperature rise based on the temperature of your incoming water. You will need to adjust the heater to the preferred temperature. Q: Can my i12-LP be installed horizontally? Space is limited where I’m using it. A: All our gas type water heaters CANNOT be installed horizontally. They are designed to be installed vertically. Q: Why do I need to clean my tankless water heater? Is it really necessary? A: Yes. It is important to clean and descale your unit at least every 6 months to maintain its flawless performance. You can use our Eccotemp EZ Flush Descaler Kit. This will get rid of any water scale, lime, or rust deposit buildup in virtually any piece of water based equipment. Q: How long can my L10 run constantly? A: Ideally, as long as you have gas connected and proper water flow/temperature, this will run until you run out of either gas or water. There is a 20 minutes safety shut-off timer, so once it shuts off, you'll just need to restart it. *Note: Both the L5 and the L10 have these 20 minutes safety shut-off timers. Q: Can I use a tankless water heater to heat my flooring system? A: Our Electric models can be used to heat floors. You cannot use the gas powered tankless water heaters. Q: Can my L5/L7/L10 be permanently mounted outdoors, even if it’s a warmer climate with no freeze worries? A: Although all our portable models are for outdoor use, be sure to bring the unit indoors. When not in use, the unit should be drained, taken down and stored in a safe place away from the elements. Leaving the unit outdoors for prolonged periods of time can cause debris buildup, birds, leaves, dust, mice, bugs, etc. to make homes in your unit causing a fire hazard. Leaving your unit outdoors and not following the recommended use will void your warranty. Q: What if I have poor water quality? Will it affect how my tankless water heater performs? A: Our tankless water heaters will perform and last a long time with poor water quality; however, you need to be sure you clean and descale it quarterly or at least twice a year. Check out our EZ Flush descaler kit. Q: How do I use my portable unit (L5/L7/L10) without a garden hose hooked to it? We need it at a dry camp with water buckets. A: If you dry camp, you will still need to leverage the 2.9 GPM Flojet Pump that we sell, or some sort of pressurized water source. The pump works great for things like this. Q: How long does a 20 gallon propane tank last with the L10? A: If you take a 15-minute shower every day, it should last you approximately 3 to 4 months depending on water flow and temperature. Q: How do I check for Gas leaks? A: After you have your gas connected to your unit, spray some soapy water or Windex sort of mixture on the connection and if you see bubbles, then you have a leak. If no bubbles, you are good to go with no leaks. 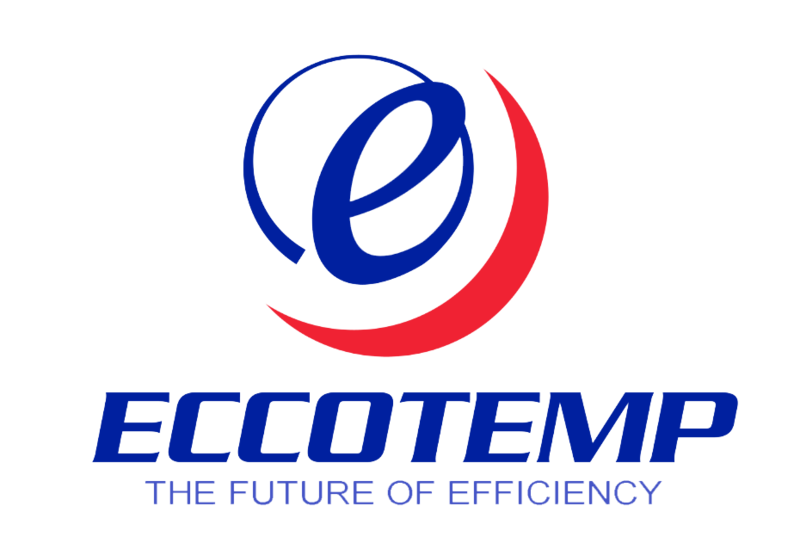 Q: Does Eccotemp have a preferred carrier for shipping? A: Yes! We prefer to use UPS Ground. We usually use FedEx Ground or UPS Ground for most of our shipments. Q: I bought my FVI-12 LP last week and realize that I actually need the i12. Can I return it? A: Yes. We have a 45-day return window. You can ship it back to us and once we receive it, we will send your replacement. Contact our Tech Support and they will be happy to help you. Q: What does the “Pre-order” notification mean when I look at certain items to buy on your page? A: We mark all items that are out of stock as “Pre-order”, so that the customer is not surprised and is aware up front before purchasing that there may be a little wait time until the unit is back in stock. Q: Where’s the pilot light in the Eccotemp tankless water heaters? I can’t seem to find it. A: Our products do not have pilot lights. There is an electronic ignition. The unit will ignite when there is hot water being requested of it and it will go out when you're done using the hot water. Q: What does RGA mean? Why is it important with tech support? A: RGA means Return Goods Authorization. This lets both us and the customer know that we are expecting the unit to be delivered to our warehouse. The RGA number that tech support provides you helps us track where the unit came from and what support ticket it is associated with to help with repairs and such. Without the RGA number on the box, we have no idea why the unit was sent back to us and may result in a package being declined upon arrival. Q: Can The 20 Minute Shut Off Timer Be Disabled on my portable unit? A: The 20 minute timer in the L5 and the L10 cannot be turned off. This is a safety feature it is programmed inside the ignition box and then sealed. You can buy a GE 24 hour timer and connect your pump through it. Set the circle tabs in the timer to alternate every hour or 30 mins to switch the pump on and off. The L10 will automatically do the heating whenever the pump is on. Q: Can the PortaHot (L5) Be Left Out In The Weather? A: The unit has to be sheltered when not in use or there are rodents and such that can get in to the unit and damage it. As for the weather, rain and cold air “FREEZING” will damage the unit. It must be taken down in those times. Q: Can I convert my Natural Gas tankless water heater to use Liquid Propane instead? A: No. Unfortunately, there are certain parts within each unit that are gas specific and not able to be converted to any other gas type. If you believe you've purchased the wrong gas type and are within the return window for the product, please reach out to customer support and they will be happy to assist with getting you that correct gas type. *Please note: The return window is 45 days. Anything after that is a case by case situation and will be charged a 15% restock fee after that window has closed, should your case be approved by Management. We are extremely satisfied with our purchase of L5 Eccotemp Hot Water Shower systems from you. We use deep well water in former poly pickle barrels (that we had thoroughly chlorinated, decontaminated and cleaned) with our L5 systems. Should a critical incident become prolonged and require use of hot water to reconstitute freeze dried food, can the hot water from the L5 system be used? Specifically, is the hot water output from the L5 potable water? Thank you.